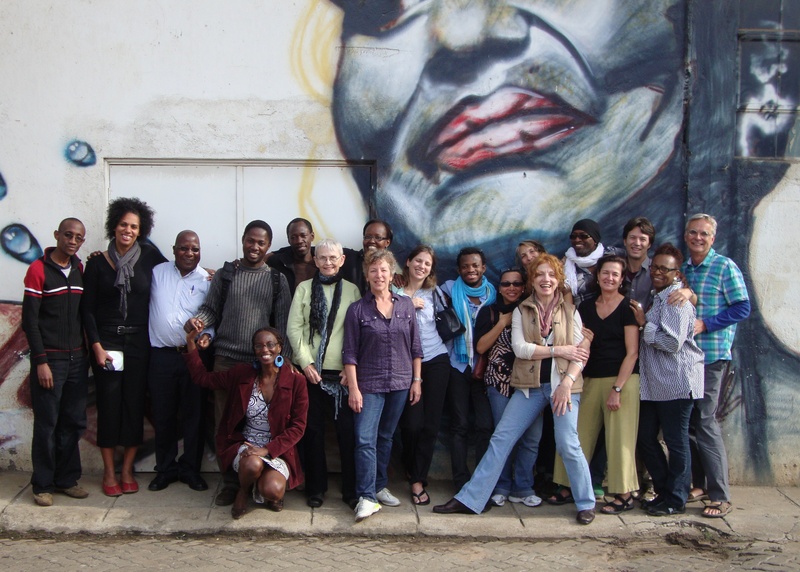 As the Artistic Director of Global DanceFest, I belonged to Africa Contemporary Arts Consortium for a number of years. It is the membership of which I am most proud during my many years of life and work. The Consortium is funded by arts and cultural organizations and foundations; managed by MAPP International Productions; and comprised of individuals who are among the finest dance artists on the continent of Africa, and by the best contemporary dance presenters in the U.S.—all of whom care deeply about artists and dance in global neighborhoods far distant from us in miles, cultures and histories. The work of bringing artists from Africa to interact in our communities in teaching and learning cycles of benefit to all concerned was possibly the most satisfying work I have ever done. Although I often felt more than a little out of my league, I learned so very much from my colleagues and from the imaginative and dedicated artists who graced our New Mexico communities with their thoughtful and accomplished work from 2001 to 2013. The meeting in Nairobi, shared in the following photo album, was both productive and pleasurable as usual. We were too busy to see much of the city, but as two colleagues and I left for a small safari immediately afterward we didn’t feel that we were lacking for adventure.